Ch 2 and SC 5 times in the 2nd ch from hook. Do not join and continue working in rounds without turning. SC in next 6 Sts, Ch 10, Skip 7 Sts, SC in next 14 Sts, Ch 10, Skip 7 Sts, and SC in last 6 Sts. Check the openings for the handles and make sure they are lined up and evenly spaced. Adjust sts as needed to have handles centered. SC in ea st until you come to the chain for the handle, then SC around handle chain even (approx 12 SC). SC in ea St around until you come to the other chain for handle. SC around this chain even (approx. 12 SC) and then SC to side edge of basket. End with a Sl St into the last few sts at side to make a smooth edge. FO. 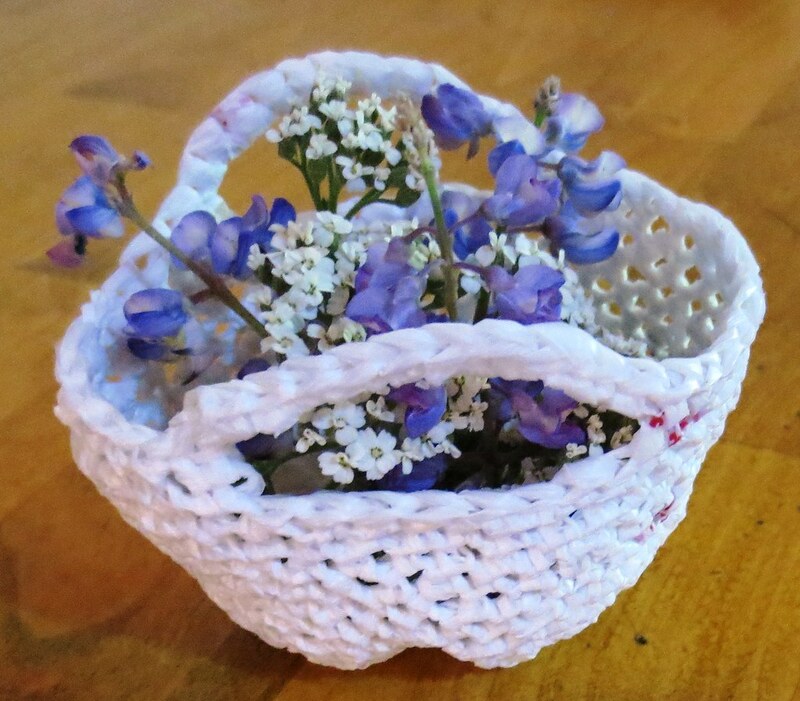 Please enjoy this free recycled basket pattern and if you have any questions or find discrepancies in this pattern, email me using contact tab above. Beautiful. Can’t wait to see your aesthetic sense coming into play again. Great work. 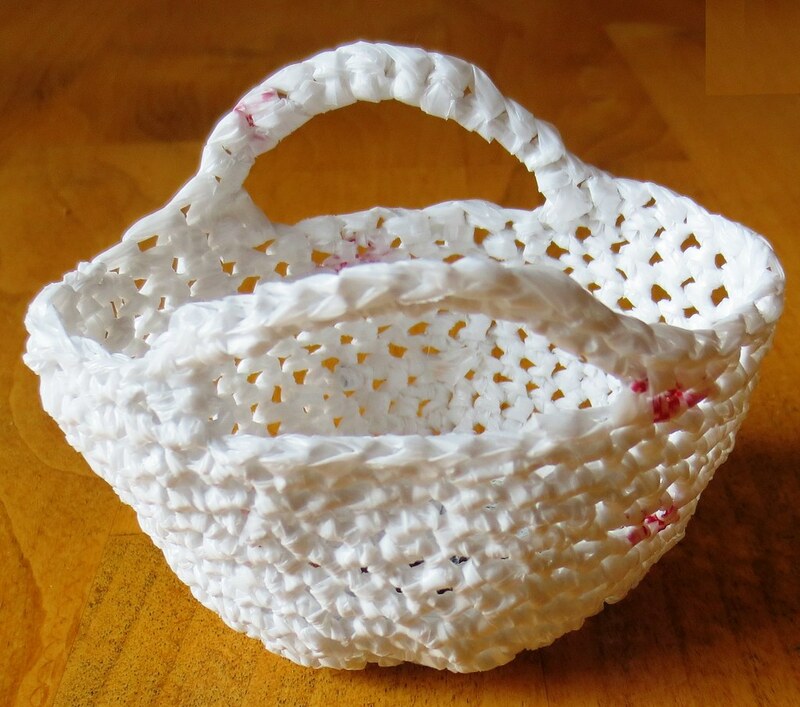 Great way to recycle plastic bags and its beautiful too. Waiting for more such creative ideas. Thanks for sharing.